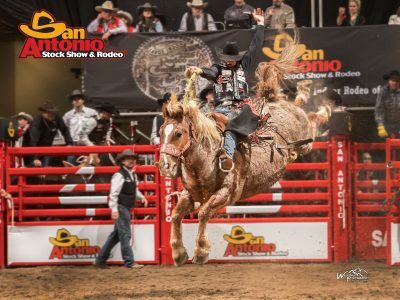 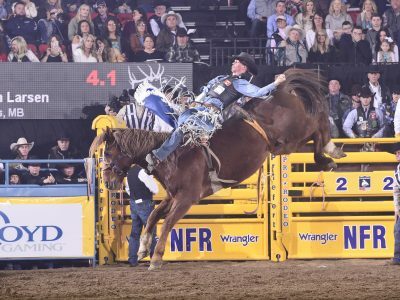 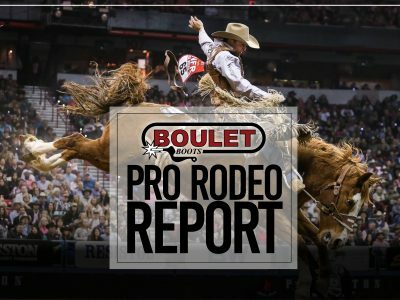 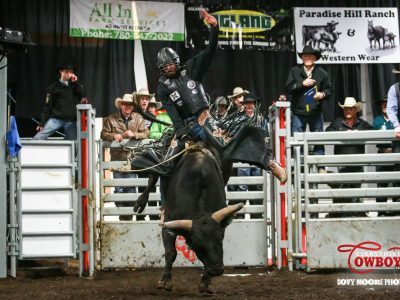 SAN ANTONIO, TX – A year ago, Josh Frost left the San Antonio Stock Show & Rodeo with an Xtreme Bulls championship and an extra $31,500 in his pocket. 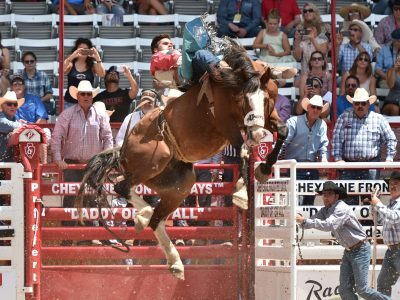 Luke Creasy rides United Pro Rodeo’s Pow Wow Rocks through a dramatic first jump at the 121st Cheyenne Frontier Days Rodeo. 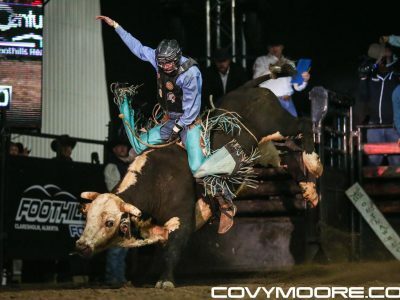 CFD photo by Dan Hubbell.